Kuka robots are built to foundry standards making them extremely reliable in hard factory environments. They are often used for welding applications but also for die casting automation including ladling, trim press loading and unloading, machine tending, palletising and assembly. They also produce trim presses which can be integrated with the robot cell or used as a standalone machine. Trim presses are available with sliding/tilting tables enabling easier scrap removal, die cleaning and tool change. As a UK System Partner for Kuka, Olympus Technologies work closely with them to ensure we deliver the optimum solution for our customers. Here at Olympus Technologies we have three decades of welding expertise to ensure we have the perfect combination of skills to automate any welding application. 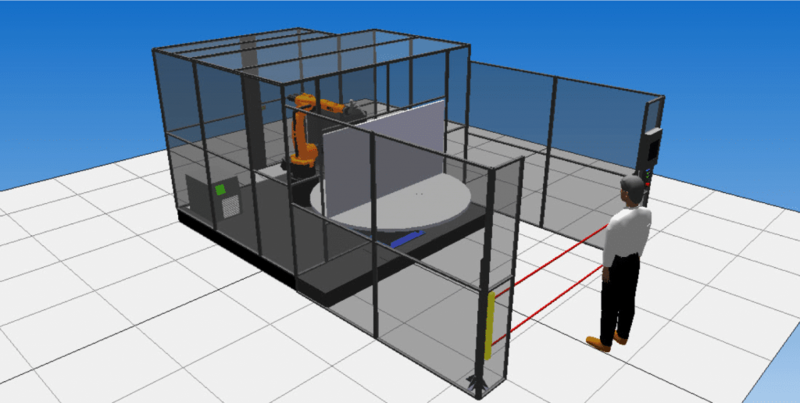 Olympus will design your Kuka robot system to your requirements. Along with your robot we can supply manual and automatic turntables and external axis manipulators to provide two or more working stations. 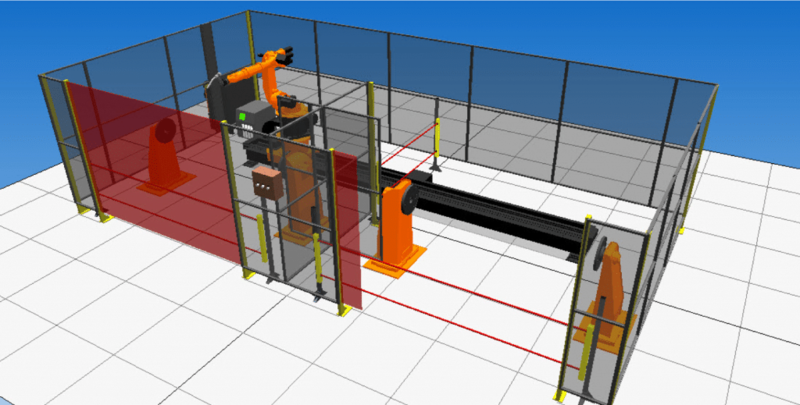 All additional axes can be completely integrated with the main robot control, enabling complete synchronisation. 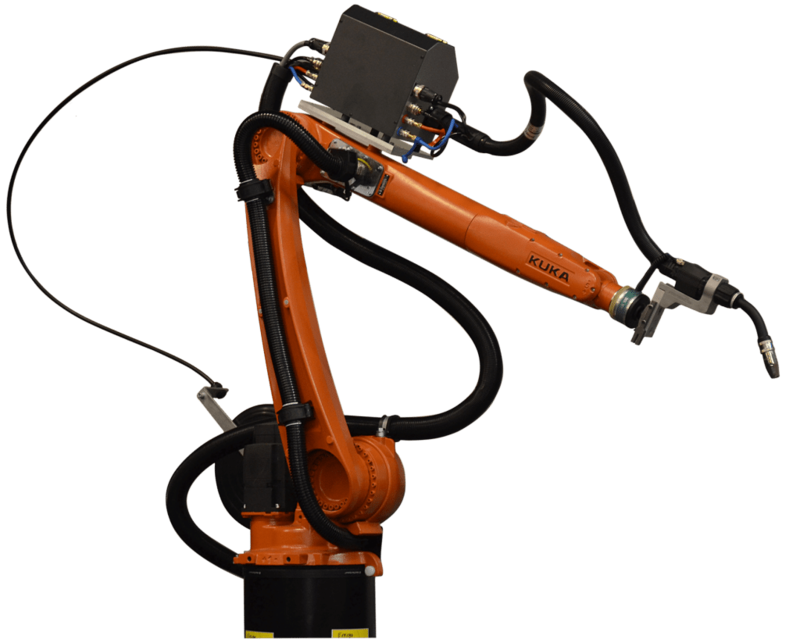 Below is an example of a twin station KUKA robotic welding cell Olympus Technologies installed for Alamo Group Inc. Founded in 1969, Alamo Group Inc. is a leader in the design, manufacture, distribution and service of high quality equipment for infrastructure maintenance, agriculture and other applications. Using the latest in industrial standard CAD systems Olympus Technologies can design, build and simulate your industrial welding cell. This allows our team of project engineers to clearly communicate designs and systems with the end-users, allowing for an error free, efficient design process.